Here's the back of the vest. It's blocking now, though the directions said to press the pieces. I haven't cast on for the front yet. Instead, I started the Rowan R2 scarf. 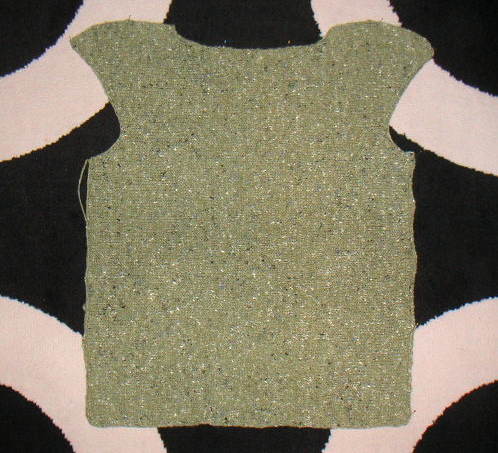 The Paper is fun to knit with, but I'd rather make a garment out of the Rag. It's funny, but the Paper yarn is basically a Handi-Wipe. It's got the same texture and everything, just not the blue stripes. 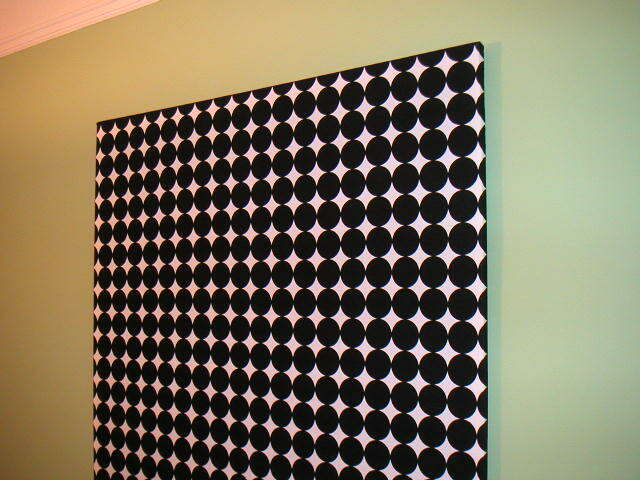 The other picture is the Disco Dot wall hanging I made for the newly painted dining room. It was a very simple and fast project. I bought canvas stretchers and just stapled the fabric on. I like the notion that I could change the fabric just as easily too. Instant art!